What does everybody think of us signing Stephen Gostkowski of New England who I believe is a Free agent this off season? Seeing Greg the Leg hit the game winner in OT in the NFC championship game for the Rams from 57 yards with 10+ yards to spare easily -- just reminds me how a great kicker can be a game changer especially in tight playoff games. We also saw a kicker this year lose a few games for the Seahawks and with the way PC plays the game with defense and running the ball you would think that he would value an an elite kicker more than other teams. In addition, we already have a CHEAP all pro punter so if we pay more than other teams on average for a PK then we probably still come out middle of pack for our special team kickers in terms of salary cap cost. Obviously, we would love to have the next great kicker just fall to us in the last round of the draft that seems like hoping to win the lottery. Gostkowski is finished his contract that ranged from 3.6 to 5.0M in cap hit and I think if the Patriots have spent that much on a kicker then it has to have some merit to the strategy. Justin Tucker and Zuerlien are free agents next season too so the price probably will go up next year too for an elite kicker. All I know is John and Pete need to quit fooling around and figure this out quick. They could've had a potential long term answer had they kept Myers. I, along with others here, had a bad feeling Seabass was the wrong choice as soon as the news broke. I hope they have learned from their recent mistakes and make finding a good kicker a top priority. I don't care what it takes. Signing a few FAs, drafting one, signing an UDFA. Bring multiple legs into camp. Whatever! Just learn from your mistakes. That's all I ask of them at this point. There is clearly a need for a kicker upgrade. The FO has had a mindset that has been an issue with the kicker for the past few seasons. it's time for a change of direction. They goofed it by keeping Janikowski over Myers but hindsight is always most accurate and Janikowski is a future HOF kicker, despite his lack of post season numbers. This draft will have a few exceptional college candidates the team will likely look closely at to acquire and to set up a competition for the job next season. I hope they decide to go young and don't sign a retread. it would be awesome to acquire a partner for Dickson who is young. We have had a good history of kickers here, a young guy that can build his confidence and salary over 5 or 6 years till he becomes expensive. chris98251 wrote: We have had a good history of kickers here, a young guy that can build his confidence and salary over 5 or 6 years till he becomes expensive. Yes I was thinking that the other day.. The Front Office has shown how much they value kickers, I believe Cody Parkey has a good shot on being the Seahawks kicker next year... I hope they prove me wrong. I love how people pretend to have been high on Myers. Kickers are like middle relievers in baseball. Except for the elite ones you never know what you will get from one season to the next. Matt Bryant? Is he a possibility for y’all now that he’s unemployed? I'd pass on Gostowski. I don't want to spend a bunch on the kicker position, and he will cost a lot because of name recognition and playoff success. I'd be totally fine with them bringing in some cheaper vets like last year, but also bringing in a rookie to compete. Looking at least years Kickers who were in the draft and bring the ones that were fringe and then this years UDFA isn't a bad idea either, last years guys learned what a NFL Kicker is expected to do and I am sure those still interested in a career worked on their flaws and weaknesses to try again this year. Cheap and a bit more hungry and better understanding of NFL Stadiums as well as difference in Kicking off the ground versus a T.
I'm a Robbie Gould man, myself. In fact, I'd overpay to sign Gould this offseason. That's probably what it will take because John Lynch has said the Niners would like to keep him, and then there's the real possibility of him "going home" to Chicago, who desperately need a kicker after Cody Parkey crapped the bed this past January. As mentioned above, with us wanting to constantly "win it in the 4th quarter", that means we need a kicker who is nails. Not just incredibly reliable, but doesn't shrink in crunch time, either. I still hate the Hauschka move to this day, and for a team that preaches the value of special teams, we seem to love getting cute there at the expense of ourselves (cutting Gresh for Nolan F'n Freese, not bringing in any competition for Blair Walsh, even signing Blair Walsh at all, etc.) Time to stop being cute and just solve the problem. I'd steer clear of Matt Bryant, though. Bringing in a kicker who's mostly kicked in a domed stadium is just asking for another SeaBassesque type of season. Gostkowksi would be another good option, if he hits FA. He's kicked in New England, Buffalo, and the swirling winds of the Meadow... errr, MetLife for his entire career. Plus, he went to Toledo, so he's used to kicking in garbage weather. The last thing the Seahawks should do is cheapskate on the kicker position. This style of play leads to many tight games, so the reliability here is essential. Only elite is good enough. Gould or Bryant would be great. Gould or Bryant and there are 8 seniors who will get drafted/invited. There are also some potential NFL kickers in the AAF. Hopefully the Hawks can nail this position down for a few years. They are not going to spend significantly on a kicker. Nor should they. they should not over spend on a kicker I think going young is the better option grab a kid coming out of college and let him prove it. if you keep going after trash kickers ie Walsh or seabass you will end up with trash performance. Underspending on a kicker is the worst scenario. The most certain way to elude any championships. Trusting on luck by drafting has not looked good for many teams in the near past. Spending 1 extra million here makes a bigger impact on the W-column than the salary cap. Kicker seems like a good position for the practice squad. Kickers seem to need a bit of time to really come into their own so get a young one, keep him around a few years on the PS, then see what you've got. That said, I don't think anybody keeps a kicker in the PS so I'm probably wrong. We have seen them get cute with, Long Snapper, Holder, and Kicker, each move costs us games and wins. These are the things that drive us as fans crazy. The whole kicking sequence is like a machine, each piece has to have confidence in the other as well as be able to execute in adverse situations. Why going cheap or just finding a guy keeps biting us. chris98251 wrote: We have seen them get cute with, Long Snapper, Holder, and Kicker, each move costs us games and wins. These are the things that drive us as fans crazy. The whole kicking sequence is like a machine, each piece has to have confidence in the other as well as be able to execute in adverse situations. Why going cheap or just finding a guy keeps biting us. Fundamentally don"t disagree, however wouldn't it be nice if the team could draft a K who turns out to be as good as our Punter. It seems as if the team is somewhat grasping at straws with their choices at this position. Pay for it or draft it, just get it. Given the team mentality of winning late it'd be nice to have the leg that could boot the long FG with consistency. even if the team was into winning early it'd be nice to have a PK who could be depended upon from 55 in. This should be a key offseason priority. Does "drafting it" work though? Honest question. Seems like most kickers seem to bounce around and then one of them hits. I recall the Seahawks drafting Kasay but that's been about it. There was the kicker they drafted the year they kept two kickers on the roster (drink!). SeaBass was obviously drafted, but how many kickers were drafted by the teams they currently kick for (or, for vets, kicked for several years for the team that drafted them)? Jason Myers, after we let him go last year, is an UFA in 2019. After his good season for the Jets i hope that there is a chance to unmake that mistake and sign him. I think that he will not be cheap like this season (750.000 Cap Hit), but i would feel very good to have him at Kicker. He will not be paid like an elite kicker, but will do the job for us. GermanKicker23 wrote: Jason Myers, after we let him go last year, is an UFA in 2019. After his good season for the Jets i hope that there is a chance to unmake that mistake and sign him. I think that he will not be cheap like this season (750.000 Cap Hit), but i would feel very good to have him at Kicker. He will not be paid like an elite kicker, but will do the job for us. There's a decent chance that the Jets franchise tag him if they can't work a deal out. Crazily, there could be 3 kickers this year who all get hit with the franchise tag (Myers, Gould, and Gostkowski) -- IIRC in almost all years it's zero, and every once in awhile it's one. Looking around the NFL, it's not a good year to need a kicker. The upside to all this is that year-to-year performance for kickers is about as close to random as you can get on an NFL playing field. Thepeelsessions wrote: All I know is John and Pete need to quit fooling around and figure this out quick. They could've had a potential long term answer had they kept Myers. I, along with others here, had a bad feeling Seabass was the wrong choice as soon as the news broke. I hope they have learned from their recent mistakes and make finding a good kicker a top priority. I don't care what it takes. Signing a few FAs, drafting one, signing an UDFA. Bring multiple legs into camp. Whatever! Just learn from your mistakes. That's all I ask of them at this point. I remember when we signed Seabass. A friend said "Hey, you picked up Seabass!" I replied, "Yeah, with a forklift..."
Yes, didn't had that in mind. Wow... A Franchise Tag on a Kicker or multiple Kicker, what a time to be alive. 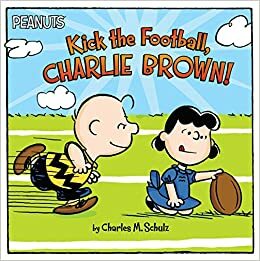 Well, I will prepare myself for another season full of lousy kicking. Last edited by GermanKicker23 on Fri Feb 22, 2019 1:29 am, edited 1 time in total. The league is full of crappy kickers, time for us to get someone consistent.